The United Nations Environment Programme (UNEP) established the Global 500 Roll of Honour in 1987 to recognize the environmental achievements of individuals and organizations around the world. 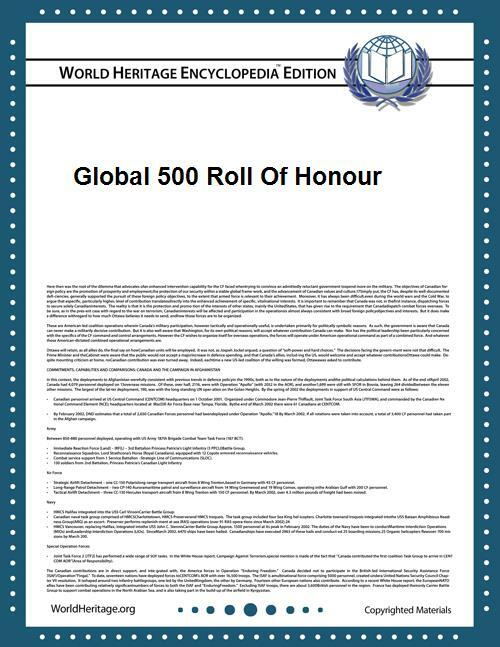 The last Global 500 Roll of Honour awards were made in 2003. A successor system of UNEP awards called Champions of the Earth started in 2005. Wangari Maathai, founder of the Green Belt Movement, a Kenyan grassroots environmental organisation. She later won the Nobel Peace prize. Jimmy Carter, former President of the United States. He later won the Nobel Peace prize. Nikita Moiseyev a prominent Russian scientist, leading expert on consequences of nuclear war - "nuclear winter"